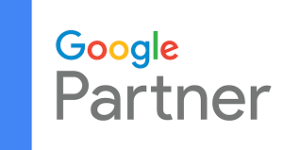 As of October 9, 2018, we have obtained Google Partner Status. This week we not only survived a tropical storm of what used to be Hurricane Michael, we went ahead and did a little studying. While we run several Google AdWords campaigns and are familiar with everything from broad match modifiers to callout extensions, we decided to hunker down and get certified for creating and optimizing Google AdWords Campaigns. The partners program is available to marketing agencies who operate ad campaigns of over $10,000 per month, have and agency account and have employee(s) who have passed Google’s fairly rigorous testing. Our partner status may be verified with Google via this link. We primarily run AdWords accounts for Personal Injury attorneys. We’ve configured everything from targeting specific geographic locations to call only campaigns, remarketing and everything in between. Where we erally shine though is organic search which can be much more cost effective than pay per click campaigns. If you have a $1,000/mo budget or a $40,000/mo budget you can count on us to advise you on how to make the most of it. We will update this page as our Google Partner status evolves.